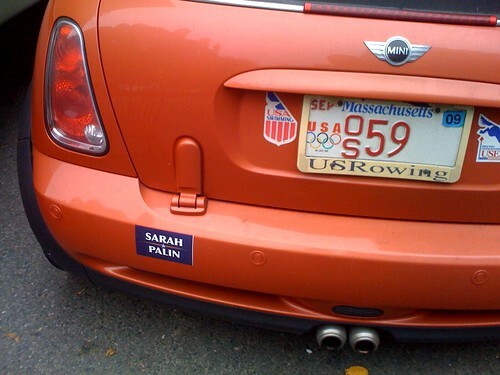 A Sarah Palin bumper sticker? In Boston? A Sarah Palin bumper sticker? In Boston?, originally uploaded by baratunde. With no mention of john McCain?